Going on holiday with the kids? For parents or guardians thinking of travelling overseas with your child or children, it’s important to familiarise yourself with the risks of travelling to keep the young ones healthy and safe. Even if you’re not travelling to an exotic location, it’s better to obtain travel advice from your doctor to check if your kids require any vaccines or medication before travelling. For instance, the U.S. is experiencing an all-time high number of measles cases since 1996, while developed European countries experience massive measles outbreaks, pertussis, meningococcal infections and more. In Hong Kong last year, there were also many who experienced serious complications from seasonal influenza. Although children and adults face similar health risks, the consequences are more serious for children. A study of 1840 children in the U.S. demonstrated that of children who returned from international destinations, 86% developed illnesses upon their return; with diarrheal syndrome being the most common, followed by skin disorders from animals, insect bites or parasites, fever symptoms from viral infections, typhoid fever, dengue, malaria, and respiratory tract infections. The best way to protect children is to ensure that routine childhood vaccinations are up to date and that your child gets the appropriate travel vaccines. Depending on your travel destination, there may be specific travel vaccines that will take around four to six weeks prior to your trip to complete the full course. These vaccines vary depending on which country you are going. Most people recover from Influenza or “the flu” within a few days to two weeks. However, young children below the age of 5 and those with chronic medical conditions such as asthma are at higher risk of flu complications that could lead to hospitalisation and even death. For children less than 9 years old getting the influenza vaccine for the first time, 2 doses at least one month apart are required. Protection from the vaccine starts two weeks after the series is completed. Annual influenza vaccination is recommended for young children from 6 months to 5 years old, including those with chronic medical conditions. Although Hepatitis A is a vaccine-preventable infection, it is unfortunately one of the most common infections acquired during travel. Hepatitis A spreads through contaminated food and water, causing symptoms such as loss of appetite, fatigue, diarrhoea, abdominal pain and jaundice. The symptoms are usually milder in babies and young children but in older children above the age of 5 and adults, symptoms may last for two months or more, and in rare cases, can lead to severe liver damage. For long-term protection, consider 2 doses of the Hepatitis A vaccine, taken at least 6 months apart. This vaccine is safe and effective. Salmonella Typhi is the bacteria that causes Typhoid fever. The bacteria spreads through contaminated food and water, leading to high fever, headache, fatigue, stomach pains and sometimes rashes. Typhoid fever may result in low blood pressure (shock) and even death. To prevent typhoid fever, an inactivated (killed) vaccine is administered for this infection. One dose of the vaccine at least 2 weeks before travel provides 2 years of protection. Meningococcal infection is caused by the bacteria, Neisseria meningitides (particularly Serogroups A, B, C, W, and Y). It spreads through close contact and can lead to bloodstream infection and meningitis (infection of the lining of the brain). Young children are at higher risk of infection. If you are planning to travel to Saudi Arabia for the Umrah or Hajj pilgrimage, you are required to be vaccinated for the meningococcal infection. The meningococcal vaccine is also advised for travel to places with increased reported cases or outbreaks. Meningococcal ACWY vaccines prevent meningococcal disease caused by the serogroups A, C, W, and Y. To protect against serogroup B, a different meningococcal vaccine is available. The number and timing of doses may differ depending on your child’s age. Speak to your paediatrician to find out more and if an additional booster is needed for your child. Japanese encephalitis (JE) virus is common in rural parts of Asia, and it spreads through a bite of an infected mosquito. It causes encephalitis (brain infection) that potentially leads to death for 1 in 4 of those affected, while others suffer from long-term neurological disability. For travellers staying longer than a month in rural areas, this vaccine is highly recommended. Those with extensive outdoor exposure or participating in activities such as trips to rural farms during the high transmission season and shorter stays in areas with an ongoing outbreak should also consider getting this travel vaccine. There are two types of JE vaccines available and depending on your child’s age, your doctor will advise on the suitability. Yellow fever virus spreads through a bite of an infected mosquito. This viral disease leads to liver, kidney and multiple organ failure. In up to half of infected people, yellow fever may lead to death. Travel to countries such as Africa, Central or South America requires vaccination under international health regulations. This vaccine is only administered at certified centres where you will be issued an “International Certificate of Vaccination or Prophylaxis” (yellow card) after vaccination. This vaccine contains a live, but weakened virus, and a single dose provides long-term protection. It is only suitable for infants older than 9 months till 5 years of age. While there are currently no vaccines available to prevent malaria, children who are travelling to countries affected by malaria should take drugs to prevent it. The best way to find out which medicine to take is to consult your paediatrician or a doctor trained in travel medicine. 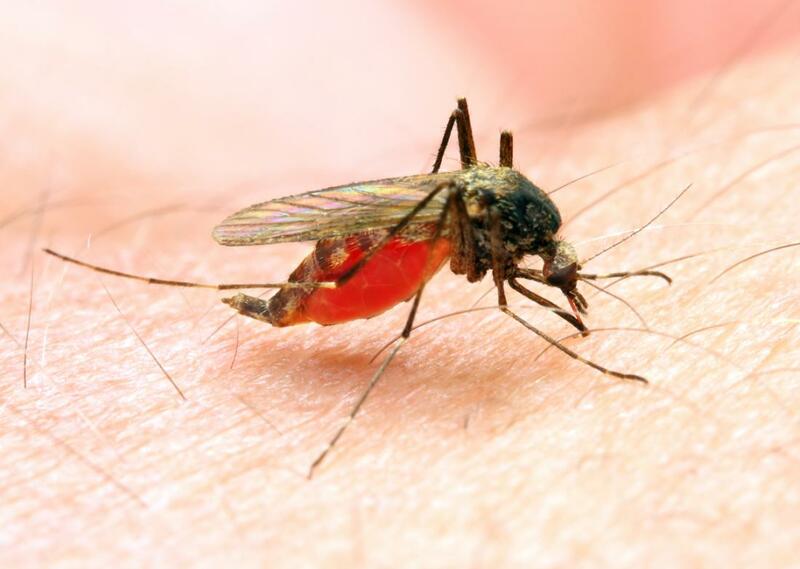 The doctor will then review your travel itinerary and make a risk assessment based on your travel style (hotel or backpacking), travel regions (urban or rural), and time of year (seasonality can influence exposure to mosquito-borne infections). This will help your doctor determine preventive measures or recommended vaccines (if any) that are necessary for your trip. Rabies is a viral disease that is more commonly found in children than adults because children usually play with animals. Rabies is contracted through the bites of an infected animal such as stray dogs, bats, racoons, foxes, and other mammals. Rabies in humans causes severe brain infection and is fatal in most cases. For those travelling to countries with a high risk of rabies exposure, it is best to get vaccinated before travelling (or “pre-exposure” vaccinations), which includes a 3-dose vaccine series over the course of three to four weeks. In the event of a bite or possible rabies virus exposure, treatment (“post-exposure”) is dependent on whether you received rabies vaccines before your trip. For a reliable source on travelling with children, read here for more information.